Want to earn some spending money? You can earn a 25% commission on all Avast product sales by becoming an affiliate! Why join the Avast affiliate program? It's easy to join — simply fill out a form, and once you're approved, you can start right away. Sign up through Commission Junction to begin working in the affiliate program. Once approved, you can start using Avast links and banners. You can include them on your website, or use them in other promotional efforts like emails, search links... anything you can imagine. When a customer clicks on one of your links and purchases within a 60-day period, you will receive a commission of 25% of the sale. You can receive monthly commission payments through your affiliate account. With over 435 million users and 28 years of experience under our belt, Avast’s security software is always on the cutting edge. We work hard to keep top-notch security solutions accessible to professional and casual users alike, so no one has to go without protection. Becoming an affiliate is more than just a chance to make money—it’s a chance to make the internet a safer place! Just click on the sign-up button and fill in the form. If you've already got a Commission Junction account, you can sign-up for Avast Affiliate Program directly from there. What affiliate network is the Avast affiliate program on? We work exclusively with Commission Junction. You'll need to sign-up through them if you want to join our program. Do I need a website or blog to become your partner? Well, no, but it might be hard to make money without one. You always have options though: Facebook, Twitter, YouTube… there are a lot of ways to spread the word to friends and family. Are there any costs to join? Nope. It’s free for everyone. Do I have to create my own ads and artwork to promote Avast? No, we can offer you some pre-made links and banners free of charge. There are a lot to choose from, so just pick whichever one grabs you—just be aware they are region specific. Can I promote Avast products via paid search? You can, BUT there are certain restrictions in place that must be followed. You can learn about it more when you become an affiliate and read the affiliate policy. Just be careful and make sure you don’t break any rules—if you do, you could be kicked out of the affiliate program. What countries participate in the Avast affiliate program? What commission will I receive on sales? At first, Avast will offer you 25% of each sale. But that amount can go up depending on how many you sell—the better you do, the more you’ll earn. How will sales be tracked to me? We track the sales via the links and banners you put on your website or share with others. 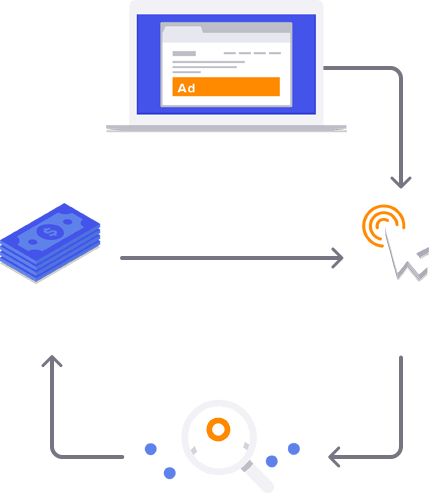 When a potential customer clicks on the URL, a cookie is dropped to track any affiliate sales that come from that visit. What if the potential customer goes to your site through my referral but buys at a later date going directly to your site? The cookie that is dropped to track affiliate sale activity lasts for 60 days. As long as they make a sale in that period, you’ll get your commission. But be aware that this only applies to the most recent cookie dropped by the customer—if they click another affiliate’s ad after yours and then makes the sale, they’ll get the commission.